Blue OriginBlue Moon is a concept for a ‘large lunar lander’ that Jeff Bezos’ aerospace company, Blue Origin, plans to build and launch. Blue Origin, Bezos’ 18-year-old rocket company, shared new details about its planned “Blue Moon” mission on Wednesday. Bezos has said he wants to move heavy industry off of Earth and into space to make “a very beautiful planet” and colonize space. Jeff Bezos, the founder of Amazon – and the richest person on Earth – is dead-set on launching a spacecraft to the moon and colonizing space. Bezos’ 18-year-old rocket company, Blue Origin, said on Wednesday that it’s “in the conceptual design phase of a large lunar lander,” shown above. 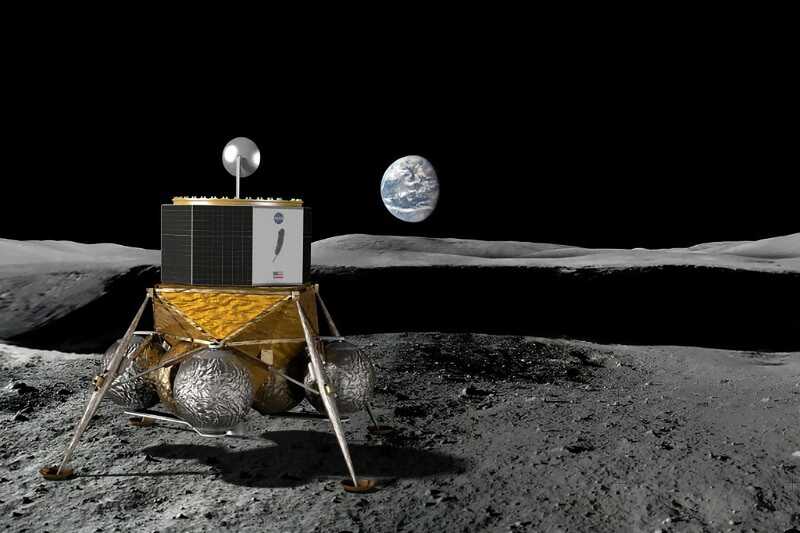 Once complete, the company expects the robot to deliver several metric tons of cargo to the lunar surface. The goal of the mission, called Blue Moon, is to eventually land on the lunar surface and scout for resources like water, which can be mined and converted into rocket fuel. News of Blue Origin’s preliminary lunar plans emerged in 2017, but details about the program are still evolving. The company has yet to provide a timeline for the first mission. Most recently, Blue Origin announced that it’s part of a non-profit organisation called The Moon Race, which is also backed by Airbus, the European Space Agency, and others. The group aims to spur the creation of a lunar economy (and pick up where the Google Lunar XPRIZE left off) by teasing cash prizes for teams that develop ways to produce energy, grow food, and build infrastructure on the moon. “The future will be better for our children – and our children’s children – if we use space to benefit life on Earth and enable millions of people to live and work in space,” Blue Origin wrote in an email about its efforts. 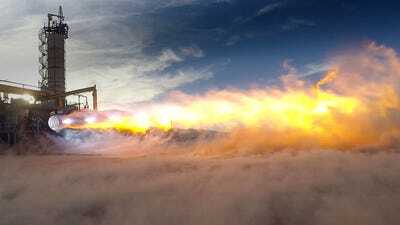 Blue OriginAn illustration of Blue Origin’s reusable New Glenn rocket launching toward space. Bezos is selling about $US1 billion’ worth of his Amazon stock every year to fund Blue Origin’s research and development. Aside from Bezos’ influx of cash, Blue Origin recently won NASA grants to develop its technologies, as well as a contract to build powerful new BE-4 rocket engines (shown below) for United Launch Alliance’s newest rocket system, Vulcan. Blue Origin’s quest to build and launch a lunar lander comes as Elon Musk and SpaceX are developing the aerospace company’s fully reusable Big Falcon Rocket system. In September, Musk shared new details about the BFR and revealed that a Japanese billionaire named Yusaku Maezawa would be SpaceX’s first moon tourist. SpaceX’s primary goal is to colonize Mars, whereas Blue Origin’s is to move heavy industry off of Earth and into space. Bezos elaborated on his rationale for this idea during an interview with Mathias Döpfner, the CEO of Axel Springer (Business Insider’s parent company) in April. 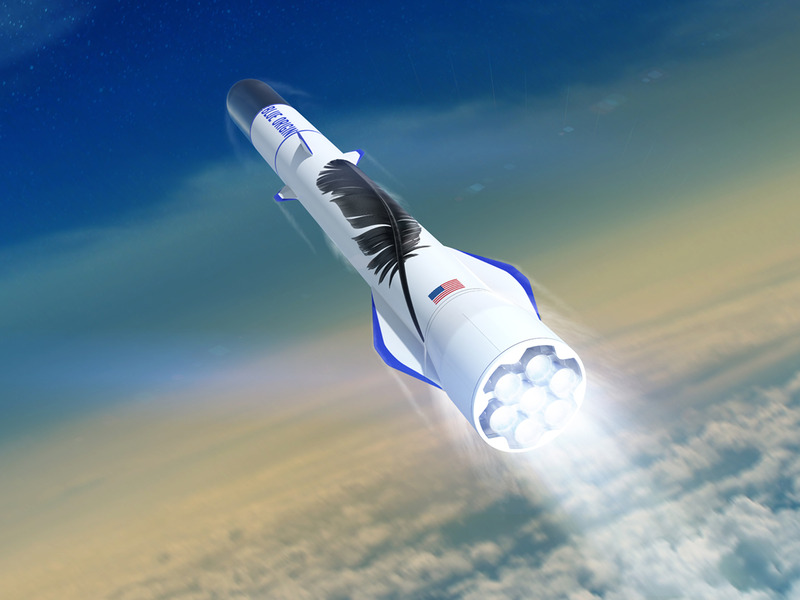 Moving heavy industry from Earth into space is at the core of Blue Origin’s mission. The future will be better for our children – and our children’s children – if we use space to benefit life on Earth and enable millions of people to live and work in space. We are not alone in our drive to return to the moon, and there have been some exciting updates this week at the 69th Annual International Astronautical Congress in Bremen, Germany. Blue has joined leading space companies and agencies to support the creation of The Moon Race, a non-profit working to launch a competition for teams looking for a ride to the lunar surface. The goal is consistent with our aim to land large payloads on the moon that can access and utilise the resources found there. We’re supporting this initiative, along with ESA, Airbus, and other entities seeking to foster the next generation of lunar exploration – with Blue Moon and New Glenn.